We are proud to announce the launch of the Scandinavian Detours glamping experience at Fejan Outdoor this summer, a concept AWB has developed together with Talisker! This summer, Talisker launches a glamping experience at Fejan Outdoor in the archipelago of Stockholm, together with Danish star chef Mikkel Karstad and World Class bartender Mate Csatlos. The glamping experience is a part of Scandinavian Detours, an adventure guide Talisker has developed together with some of the top adventurers in Scandinavia. With Scandinavian Detours, Talisker wants to encourage more people to discover the amazing and largerly undiscovered nature of Scandinavia. Find out more about the glamping experience and the adventure guide at Scandinavian Detours website. The dates available for booking are 15 – 16th of June and 3 – 4th of August. Talisker is a single malt whisky made on the shores of Isle of Skye, one of the most remote, rugged, yet beautiful landscapes of Scotland. Few whiskies tell the story of their origins better than Talisker and its smell and taste instantly connect the drinker with the wild and rugged environment that it hails from. Read more about Talisker here. AWB is the strategic and creative partner for Talisker in the Nordics where we work with developing new ideas and concepts to strengthen the brand in Sweden, Norway and Denmark. Last year we created a campaign in the Nordics entitled Scandinavian Detours. Take a closer look here. Talisker is a single malt whisky made on the shores of Isle of Skye, one of the most remote, rugged, yet beautiful landscapes of Scotland. 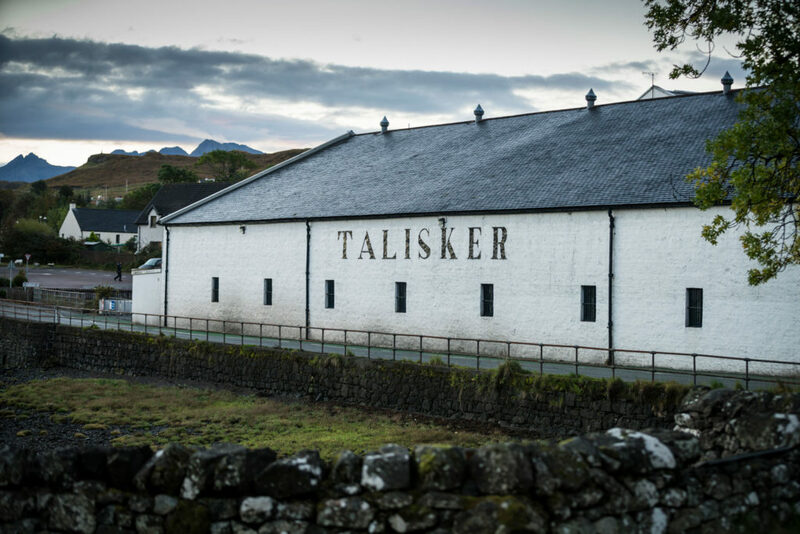 Talisker asked AWB to assist in increasing coverage and reach for the brand across both traditional media and social media platforms, with the goal of increasing sales for both the original Talisker whiskey and the Talisker Skye and Talisker Ten products. Combining the travel trends of adventure tourism and food tourism, we wondered what would be possible if we invited Scandinavians to explore the region that is usually largely unexplored. What if we could invite people to explore their natural surroundings while embracing the origins of Talisker? We developed the exploration guide entitled Scandinavian Detours to include various adventures from Sweden, Norway and Denmark. In connection with the guide, we also opened temporary restaurants in the heart of the natural countryside with Swedish chefs Filip Fastén and Joel Åhlin, in both Sweden and Denmark. The Scandinavian Detours project was well received by the media with a total reach over 13 million people in Scandinavia. The pop-up restaurants were fully booked, with 80 guests combined in Sweden and Denmark.